Alhamdulillah, finally there is a boy who asked, and he kept asking. The boy was asked many questions about the trinity. He got a lot of answers but was never satisfied. Just like me. Finally, our teacher, a professor of theology at the University of Michigan, asked to pray for steadfastness of faith. I also pray. The most important thing is about the trinity. I can not understand it. How could God consists of three parts, one of which is human? At school I also studied Greek and Roman mythology, so I think the idea of ​​the Trinity and saints such as Greek and Roman cultures thought that know a lot of gods, each responsible for different aspects of life (astagfirullah!). When high school I secretly wanted to become a nun. I am interested to do worship every day, attracted a full life dedicated to God, and show a religious lifestyle. Impediments to this ambition is only one: I am not a Catholic. I live in a town in the Midwestern region, where Catholics are a minority that is not popular. I met a Muslim from Libya. He told me a little about Islam and the Quran. He said that modern Islam, religions of the Book is the most up-to-date. Since I assume that Africa and the Middle East backward, then I can not see Islam as something modern. My family took her to a Christmas program at church. For me the show was very touching and memorable. But at the end of the show he asked, "Who makes the rules of worship like that? Who taught you when to stand, bend and kneel? Who taught you how to worship? " I told him the history of the early church. Initially the question was really making me angry, but then I got to thinking. Are the people who make the ordinances of worship was truly qualified to do so? How could they know how to worship it should be done? Are they able to revelations about it? I realize if I do not believe a lot of Christian teachings, but I still go to church. When the Nicene Creed recited together, I was just quiet, I did not read it also. I am like a stranger in the church. There is a very shocking incident. Someone very close to me having problems in her household. He went to church to ask for advice. People from church that just take advantage of distress and suffering. The man took her to a motel and then seduce her. Previously I did not really pay attention to what the role of monks in the church. Since that event I became noticed. Most Christians believe that forgiveness should be through a sacred worship event led by a priest. No priest, no forgiveness. I visited the church, sat down and watched the priest is in front. They are no better than the people who came-some of them even worse. So how can an ordinary human being, is needed as an intermediary to communicate with God? Why can I not be in direct contact with God, and receive forgiveness? Shortly after that, I found the translation of the Qur'an in a bookstore. I then bought and read it, and keep reading, though sometimes interrupted, for eight years. During that time I also find out about other religions. I am increasingly worried and afraid of my sins. How do I know God will memafkan my sins? I no longer believe in the style of Christian forgiveness method will succeed. Burdens of sin so heavy for me, and I do not know how to liberate themselves from him. I crave pardon. I began to hope that Islam has the answer. But how do I find out? In the news on television I saw the Muslims worship. They have specific ways to pray. I found a book-written by non-Muslims, which explains how Muslims worship. Then I tried to do it myself. At that time I did not know about taharah and I pray the wrong way. I continue to pray that way for several years. I wept for joy, because I knew, long before the earth was created, God had written that the Koran is for me. God knows that Anne Collins in Cheektowaga, New York, USA, would read this verse in May 1986. I know a lot of things that need to be studied, such as how to pray is right, something that is not described in detail in the Qur'an. The problem is I do not know a single Muslim. Today Muslims are relatively easy to find in the U.S.. I did not know where to find them. I get the phone number of a Muslim community of the phone book. I then tried to contact him. A man answered on the other side, I panicked and hung up. What would I say to him? How will they answer my question? Would they be suspicious? Will they accept me, while they already have each other in Islam? A few months later I again called the mosque several times. And every time I panic, I shut it down. Finally, I wrote a letter, requesting information. A brother of the mosque phoned me and then sent me a leaflet about Islam. I told him I wanted to convert to Islam. But he said to me, "Wait until you're sure." The answer is that I waited to make me upset. But I realized he was right. I have to believe, because once accepted Islam, then things will never be the same again. I became obsessed with Islam. I thought about it day and night. On several occasions, I drove to the mosque (at that time the mosque is in the form of a house that was converted into a mosque). I spun around several times, hoping to see a Muslim, and was curious as to what the situation inside the mosque. 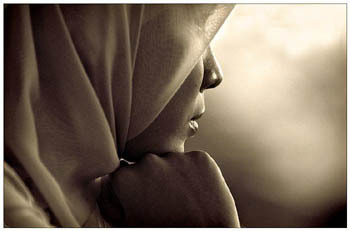 One day in early November 1986, when I cook in the kitchen, I suddenly felt if I had become a Muslim. Still timid, I sent another letter to the mosque. I wrote: I believe in God, God Almighty, I believe that Muhammad is his messenger, and I want listed as a witness it. Brotherhood of the mosque phoned me the next day, and I say the creed on the telephone. He said that God has forgiven all my sins then and there, and I'm like a newborn baby. I feel the burden of the sins away from the shoulder. And I cried out of happiness. I'm just a little sleep that night. I cried, repeating the name of Allah. I was looking for forgiveness has been obtained. Alhamdulillah.